Once upon a time Nick Saban was owner of the most awkward recruiting photo, but that crown has been stolen, and by none other than his protege Jim McElwain. Coach Mac is out here posing with 2017 cornerback recruit Marco Wilson like he’s a parent sending off his kid to prom. The longer you look at it, the more awkward it gets. 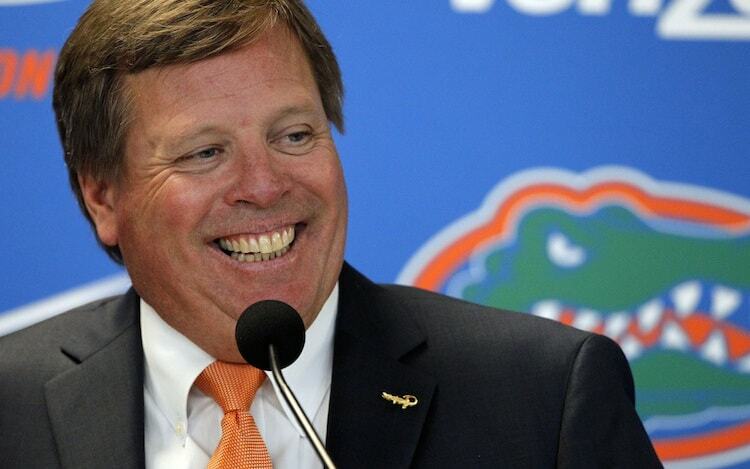 Like why is McElwain grabbing both shoulders? Or why is he grabbing Wilson’s left should with two fingers? Maybe it’s the awkwardly angled body pose while Wilson is standing straight on. Maybe Wilson didn’t want to take the pic, but that two-finger pressure point froze him in place. He definitely has that look like he’s about to get crushed at school for this photo.